Right Way to Eat! : What's In a Chicken Box ? What's In a Chicken Box ? What is the most efficient way of getting a food to go? Back in the day, I think a common theme is to set an easy store front with pick up window and then you can bring your food into your car to enjoy the lovely solitude in the comfort of your car. Heck, even something like Sonic can bring the food in a tray out to your car. That's the thing about the past on how people dine. You don't see it as much these days of pick up and take out places. One of the more fascinating place I have encountered was this little boutique chicken shack along the chaotic busy street of Whittier Blvd. 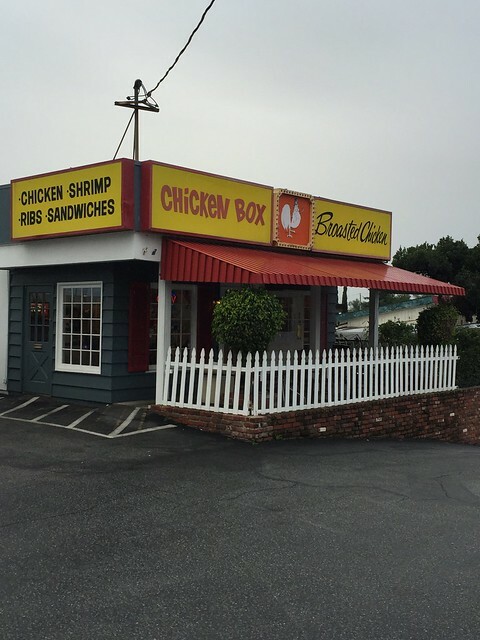 The best I can describe Chicken Box was it reminded me of a little gift shop on the side of the highway road. The decor reflected the charm of a boutique gift shop. as you can see for yourself. I am always fascinated by the small charms and the history behind the shop. I guess I am curious whenever I passed by this place that is so out of the way, but seemed to get traffic with plenty of regulars stopping by for their pick up. As the name can attest, it's chicken in a box. One type of chicken. Broasted fried chicken. They also served out seafood, barbecue ribs, and wings. Limited on the menu, but they served on what they are known for, which is their broasted chicken that is battered perfectly. Seasoned well with the skin fall right off as it's not crispy. It's not a deep fried variety with crunch skin crisp, but for the rest of us who prepared the broasted method, this is heaven. There's always a great way to dine as people are less likely to eat in their car now. Who wants to ruin the leather seat or have weird food smell in their car? 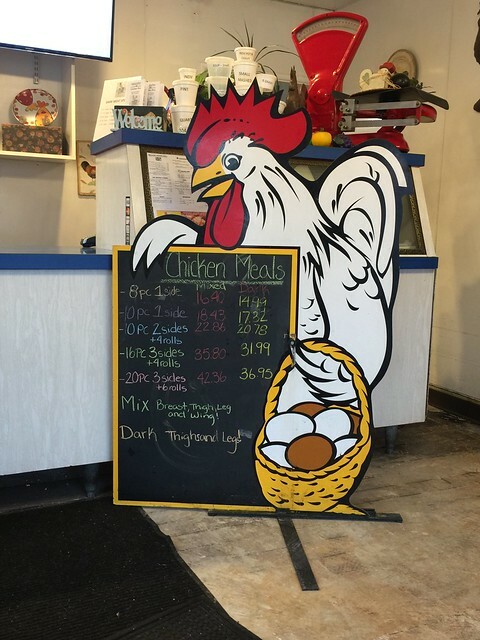 Luckily, they have situated a few tables out in their front porch (yes, it's like a converted house in a middle of a parking lot) of their chicken shack restaurant. Overall, I think I would come here if I ever craved for some of those fried chickens. Mostly I would considered using them if I need to catered to a big group or parties. This would be a great meal for a back yard parties. 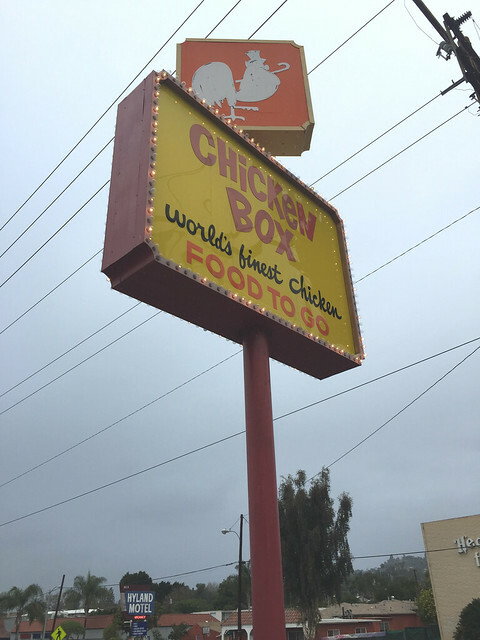 Did they lived up to their slogan on the sign (it reads "World's Finest Chicken")? You'll have to go in and judge it yourself. I think it's right up there for broasted chicken. So remote as I previously mentioned as the place still reminisced of the old days on how fast food or casual take outs supposedly works.